Now, that doesn’t mean I burn bras or refuse to shave my legs. No, to me feminism isn’t about bra burning. It is about equality and equal opportunities for both women and men. It is a world where women can work where they want to, live where they want to and say what they want to. It is a world where women don’t get raped. I entered research day thinking I would be able to share my knowledge about feminism and ended up gaining more than I could ever hope to give back. Last year I participated in College Wide Student Research Day at Douglas College. My project was called: “Welcome Home: Suzanne Kyra and the Journey into Feminist Consciousness.” It was part of a larger project called “The Herstory Project,” which my entire Women and Gender Studies class completed under the guidance of instructor Patricia Matson. I chose Suzanne Kyra as my subject not only because I was interested in her journey from local psychologist to internationally-acclaimed writer, but more importantly because I was interested in her journey from adolescence to womanhood. I learned about Suzanne’s life, feminism and most importantly, I participated in the concept of ‘motherline’ - I had a woman tell me a woman’s story and then got to share that woman’s story with other women (and men), creating dialogue about women’s issues and women’s lives. 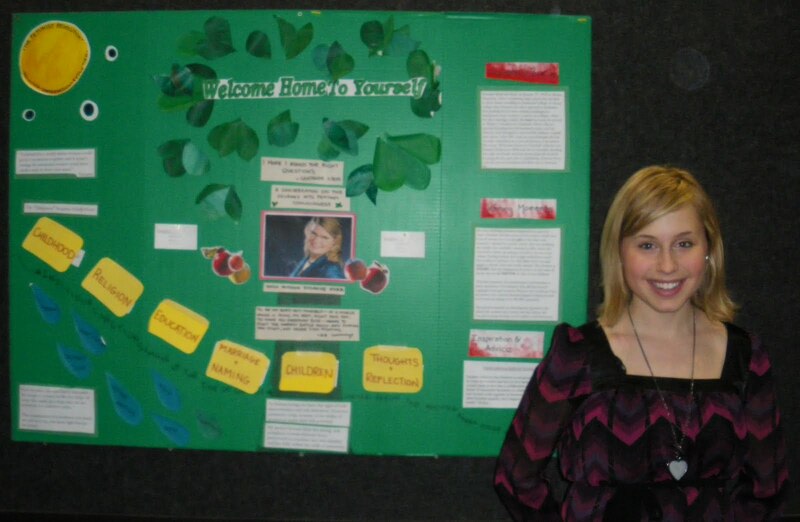 Participating in Student Research Day made me realize the effect my work could have on others. I was able to discuss feminism with people who had never heard of the theory and in the process, I was able to share and discuss the story of being a woman, Suzanne’s story and my own story. It was an amazing opportunity to share the knowledge I had learned on a subject that I really cared about. It made me feel capable, knowledgeable and curious — seeing what other students were doing made me want to learn more about everything! Research Day revived my love of learning and reminded me why I love education. It brought together all the best elements of the post-secondary experience: discussion, knowledge and self-discovery. As a student I got to talk to other students: teach them, learn from them and consequently learn a little more about the world and about myself. For these reasons alone, Research Day was an invaluable experience. I got to learn about faculties I have never explored, think about topics I had never thought about and talk to students I would have otherwise never met. Having this experience in college and in a discussion-based, student-focused academic environment helped to give me the confidence to explore research elsewhere. I now attend UBC where I am a student journalist (lots of investigating involved) and am hoping to pursue an Honours Psychology degree — exploring the role of creativity in health, well-being and education. The Research Day gave me a taste of something sweet — researching, and hopefully I will continue to move forward, applying what I learned at Douglas to future endeavours. The next Student Research Day takes place on March 30 at the New Westminster Campus and March 31 at the David Lam Campus. Students from all faculties are invited to participate. For more information, contact Tom Whalley, the College Research and Scholarly Activity Coordinator, at 604-527-5818. Men's soccer team in T.O.